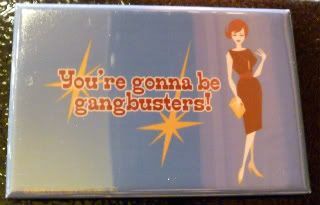 My sister got me this Mad Men magnet for Christmas, let's hope it's true. For some reason, I thought that 2010, with its even number, would be the most terrifical year, like ever. Since that wasn't true, I'm determined that 2011, with its odd number, will be the most terrifical year, like ever. See you here next January 1!